It’s safe to say I’m pretty obsessed with Sticker Market. The keyboard add-on app has made me completely forget about the dull, dreary days of just having a paltry emoji keyboard to liven up my group chats. To give it to you simply, Sticker Market is an all-in-one keyboard app that gives you tonnes of stickers, GIFs and face masks to play around with. The sticker keyboard is super cute and has loads and loads of great sticker sets to choose from. My personal favorite sticker set is the ‘Meow-ry the cat’ collection because it’s so fun and adorable – like me! The thing I love most about this app is that your sticker collection isn’t just restricted to whatever stickers you download from the expansive library. Using the CropMe tool, you can create photo stickers of anything your heart desires. For me, this has extended no further than about 50 stickers of my cat and 100 of my own, beautiful face. You can’t fault the choice of GIFs that come with Sticker Market as there are literally millions to choose from. I love a good GIF put down so the diversity of choice here is paramount to my scathing responses. Creating personalised ‘face emoji’ filters is a lot more fun on Sticker Market than with other apps as you have more space to be creative. 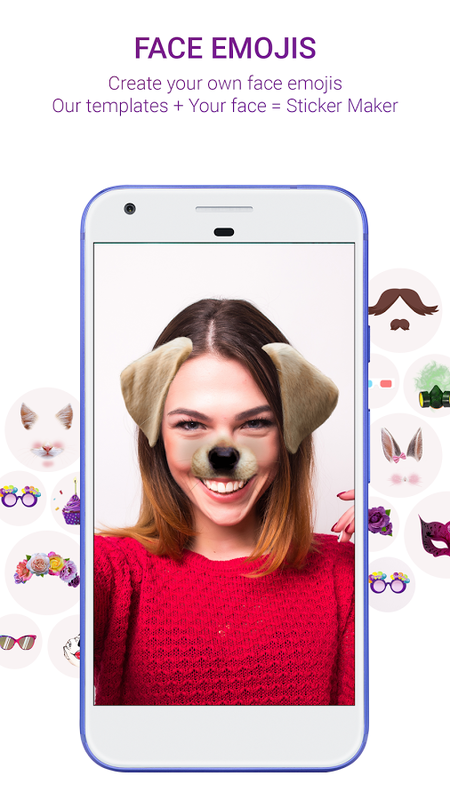 Instead of just having boring flower crowns or dog ears, you can have all manner of cool effects superimposed on to your face (although you do have the option to go for a cute cat face if you really must). I love playing around with the double exposure tool to create eerie shots. Anything particularly good that I create instantly gets immortalised in sticker form and duly forwarded on to everyone in my contact list. 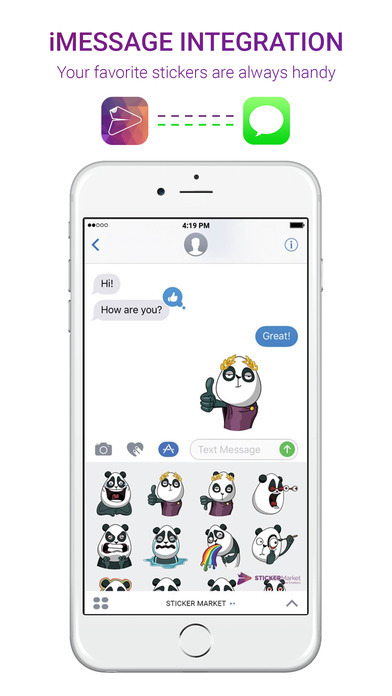 Unlike other lesser keyboard apps, I’ve yet to find a communications platform that isn’t compatible with Sticker Market. Whatsapp, iMessage and Facebook messenger all work seamlessly with the app and I’ve heard from a good source (my little sister) that it also works great on younger/cooler apps that would fall outside my remit. The one problem that I do have with Sticker Market is now I have yet another piece of technology to explain to my luddite mother. The woman – who has barely mastered the basics of an iPhone – has become enamoured with the stickers “especially those darling little sheep”. If I have to leave the comfort of my room to help her choose the perfect reaction GIF again, I’ll scream bloody murder. On the plus side, seeing her respond to my request for extra cookies from the store with a ‘HELL YEAH BROTHER’ Hulk Hogan GIF has certainly livened up our texts. Get creative by heading to the App Store or Google Play today and downloading Sticker Market for free today!